Hand-turned in South Australia using local timber, these bowls are stunning! 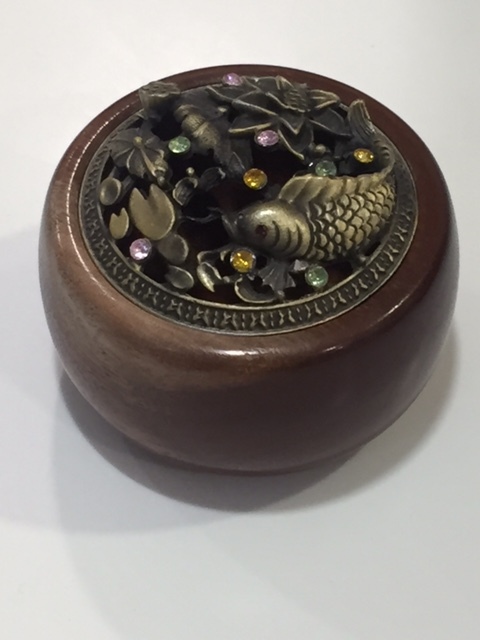 The wood turning enables all the beauty of the wood to shine. 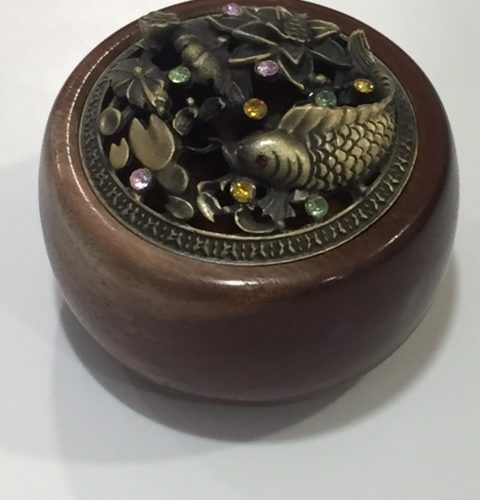 The lids are metal and feature a fish swimming in a pond of lotus blossoms. Embellished with sparkling stones, this is a lovely gift for yourself or a friend.